50+ Seeds. Larger Quantities Available. 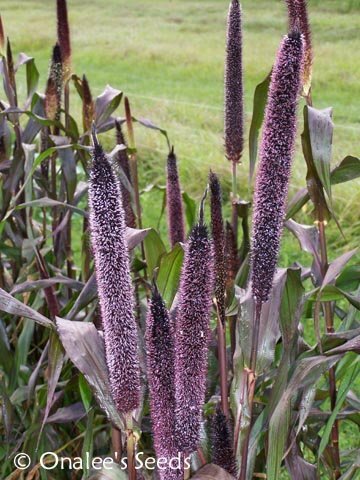 Easy to grow, trouble-free ornamental millet is deep purple from the base of its stem to the tip of its long, flower-packed stalks! Ideal for containers, borders and edging! Seeds attract birds in the fall providing needed food when other sources are low. 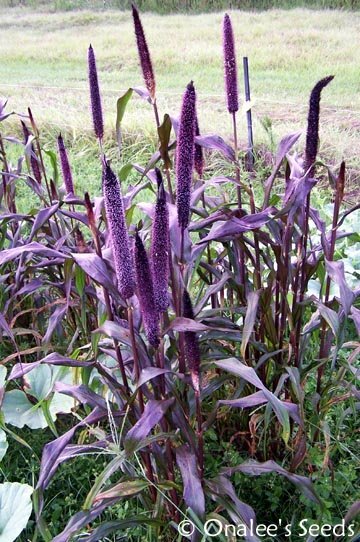 50+ PURPLE MAJESTY MILLET SEEDS PLUS planting instructions. (Pennisetum glaucum) . 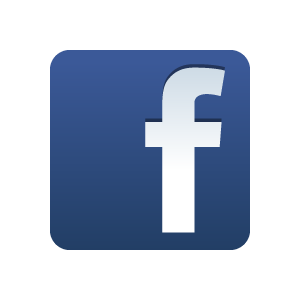 Larger quantities are available - check the drop down box above next to the 'order" button. This plant was the 2003 AAS Gold Medal Winner, and for good reason! This is the first year I've grown these and I must say, I am IMPRESSED! Easy to grow and wonderful color! Plant these in mid to late summer to have great color for the fall as well as feed the birds when other food sources are running low! A real heat lover - these do best in full sun (yes, even in the heat of Florida!). Their leaves start out green, but turn the lovely dark purple/black color as they mature. 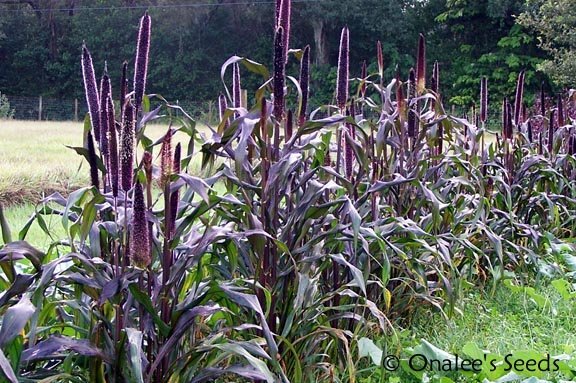 Each plant will get 1- 3 tall, soft, cat-tail-like seed heads that can be cut and used in flower arrangements or left on the plants to mature and form seeds which the wild birds will feast on this fall! These look great planted in a group or use them as a back of the border plant. Reaching 4" to 5" high, they make a great background plant - but be sure you can reach the soft flower heads - you'll want to touch them as they grow - you won't be able to help yourself, they're so soft! Suitable for growing in containers, too! These are self-sowing annuals / ornamental grass.